No. Bluetooth is not available on this phone. This is probably the best basic use phone around. jam it all u want and its still work! No special functions but if u only want sms and phonecall dz is for u! i want to ask whether bluetooth can be run in nokia 3220 by downloading a software or not? G O O D but the discolights r annoying.. I really loved this phone. I only wished that they upgraded to blue tooth and had Mp3 option. I loved the way even when I had it on vibrate I knew it was ringing because of the disco lights. I miss this phone!! The only thing that did bother me was the fact that the rubber parts did mess up easily. Please bring back this phone or make a new one with the disco light displays. P.S, yes I'm a girl. I think this is a great phone! I actually found one thrown over a fence two years ago. It was pretty beat up, but I put my sims card in the back and it worked! I have since replaced the grips and cover plates and have not had any problems with it. I couldn't belive that someone would just throw it away! It is very simple to use. I have read many a complaint that it is too basic and lacks a lot of features. I think it is perfect! It rings when I need it to and I can make a phone call, which is what they were invented for in the first place. If mine ever wears out, I will definitely be buying another one. Hi everyone i actually have problems with my 3220.When i use the internet on my phone,i cant download games but i can download other thing like videos.Perhaps a virus has infected the game memory.Can someone help me please? I've had my Nokia 3220 for just over a year and I am quite disappointed with the fact that it can only take the oldest version of mxit and the rubber keypad breaks very easily. This is my second 3220, the first got stolen. I got a second since it fits my "basic" needs perfectly. If Nokia came out with a replacement 12+/-mm thick I would buy one immediately. The closest would be a Nokia 5000 minus the FM radio. How can I get the downlading cable for this 3220 nokia phone? i hope i can get my picture from my phone!! A superb phone, love its features. Just wish it had bluetooth and memory card capabilities. Beats my Samsung with has the above mentioned features. how can I have real player on this phone? 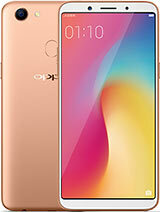 hey guys where will i find the distribution list.. so i cansend multiple messages in one time.. pls help..
i've been havin this phone for last the 4 years with out any problems .... its the best basic phone u get with funny lights .